Under the patronage of H.E. 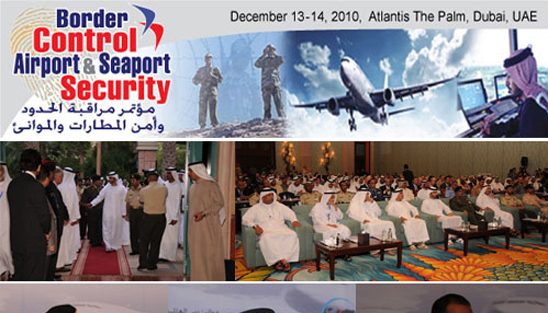 Sheikh Hamdan bin Mubarak Al Nahyan, the Minister of Public Works and President of the Higher Committee for UAE Civil Seaports and Airports Security, and the UAE Ministry of Defense, INEGMA held the first edition of the Border Control & Airport & Seaport Security Conference – BCASS at the Atlantis Hotel in Dubai, UAE. BCASS was attended by a crowd of political and military leaders, diplomats, and industry, from the UAE, the Gulf and abroad. Among them: H.E. Shekh Mansour bin Mohammad bin Rashed Al Maktoum and Sheikh Salem bin Sultan Al Qassemi. 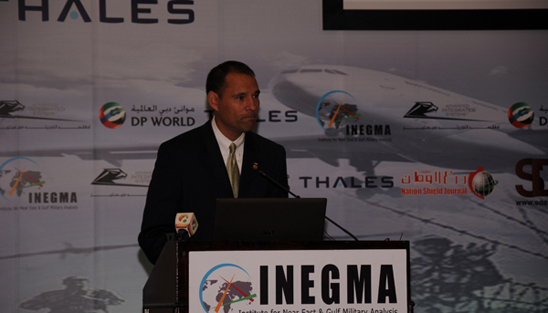 Riad Kahwaji, INEGMA CEO, delivered an Introductory Speech. He stated that the importance in understanding security of borders and seaports is a number one concern for all countries but especially the UAE which is trying to set an example for the rest of the world. The Keynote Speech was delivered by Mr. Saif Mohammad Al Zoabi, from the Higher Committee for UAE Civil Seaports and Airports Security on behalf of H.E Sheikh Hamdan Bin Mubarak Al Nahyan. He welcomed the participants of the first edition of the Border Control & Airport & Seaport Security Conference, where local and international security experts and specialists will be gathered to discuss this topic. 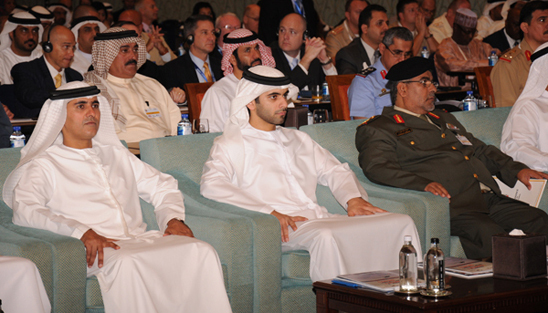 He stated that the UAE is pursuing a wise strategy leading to several achievements in all areas. He added: “This strategy is succeeding thanks to God and thanks to the interest and support of the UAE leadership headed by H.H. 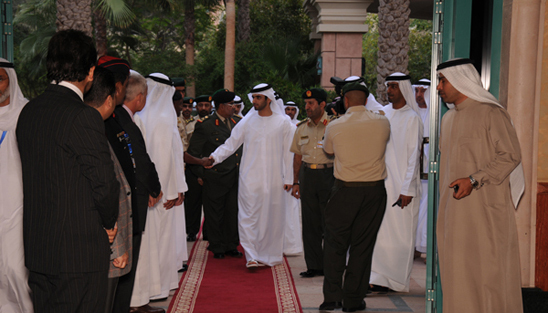 Sheikh Khalifa bin Zayed Al Nahyan, President of the UAE may God protect him and his brother, H.E. Sheikh Mohammed bin Rashid Al Maktoum, Vice-President and Prime Minister of the UAE and their brothers in the Supreme Council and rulers of the Emirates.” This is why; he affirmed “the UAE has become one of the most attractive countries to big economical and touristic projects and investments.” He added that the UAE government adopted a vision based on the development of the security performance on all levels and strengthening the cooperation and coordination with all the countries and concerned in international and regional bodies and organizations in order to achieve the best methodologies in applying the laws, regulations and requirements on the borders, airports and seaports while focusing on the principles and ideals of integrity and transparency. He also added that the UAE vision gives a lot of attention to the human element and encourages innovations as well as the use of the best and most modern technology in that area. He. finally stressed that the fact that the UAE is hosting this event is evidence on this vision and the UAE methodology of communication and cooperation with all the people and bodies concerned with the Border Control and Airport and Seaport Security. 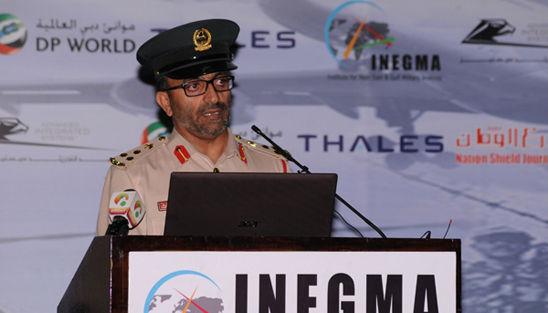 The First Plenary Session was chaired by General (R’td) Khaled Al Bu-Ainnain, the UAE Air force and Air Defense Commander and INEGMA President. Brig. 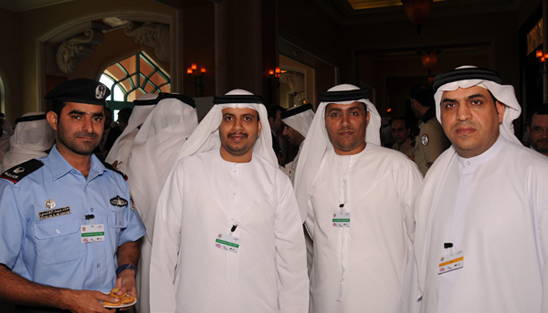 Pilot Ahmad Mohammad Bin Thani, Director General of the General Department of Airports Security at the Dubai Police delivered a presentation on “The Role of Technological Developments in Strengthening Security in National Airports.” He explained that each airport has their own traditions and systems with an emphasis on human resource. CCTVs, lasers, x-rays, all play a role in security. He added that each airport claims the latest technology but this is not true. 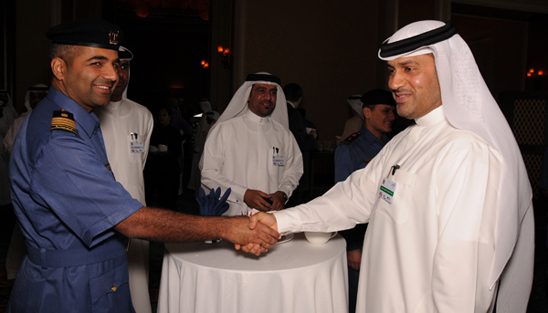 Kumar Kibble, Deputy Director of the Immigration and Customs Enforcement in the U.S. presented a paper on the “International Cooperation in the Investigation of Cross Border Transnational Crimes.” He argued that partnerships are critical and that his organization has a very close relationship with Abu Dhabi. 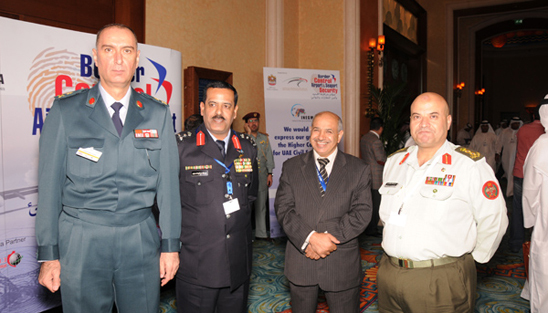 Brigadier Manuel Kirejian, Head of Border Control Committee at the Lebanese Armed Forces examined the “Joint-Agency Collaboration for Border Security: Frameworks and Approaches” in which he stated that Integrated Border Management (IBM) is critical in observation, checkpoints,, and patrols with C2 systems. 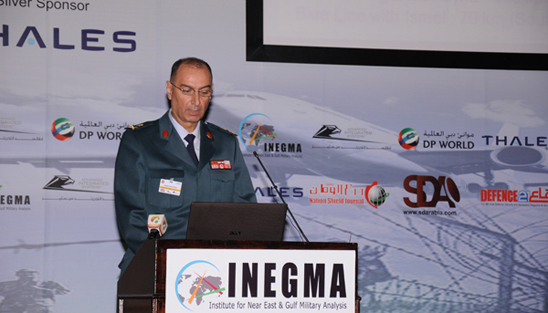 The Second Plenary Session was chaired by Dr. Theodore Karasik, the Director of Research and Development at INEGMA. Dr. Khaled al Mazrouei, General Manager of the Fujairah International Airport, looked at “Optimizing Cost-Effective Technologies to Build First-Class Security Infrastructure.” He explained about UAE biometric system including the pros and cons of certain types of systems. Mr. A. J. Atte, Deputy Comptroller General at the Enforcement, Investigation & Inspections in Nigeria, delivered a presentation on “Reinforcing International Cooperation for Improved Airport and Seaport Security.” He gave an overview of Nigerian seaport and airports and Nigerian customs. He also looked at cross border terrorism, crime, drugs, and arms. 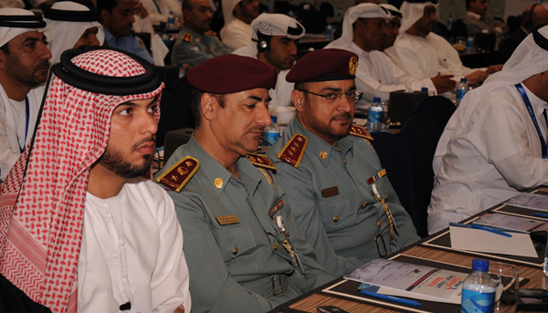 Brigadier Ghareeb Mohammed al Hosani, the General Manager at the General Directorate for Ports and Airports in the UAE Ministry of Interior, discussed “Preventing Cross Border Infiltration: The UAE Vision” where he emphasized educational and training. Under the patronage of H.E. Sheikh Hamdan bin Mubarak Al Nahyan, Minister of Public Works and President of the Higher Committee for UAE Civil Seaports and Airports Security, The Border Control, Airport & Seaport Security Conference – BCASS proceeded its activities for the second day in the Atlantis Hotel, Dubai. 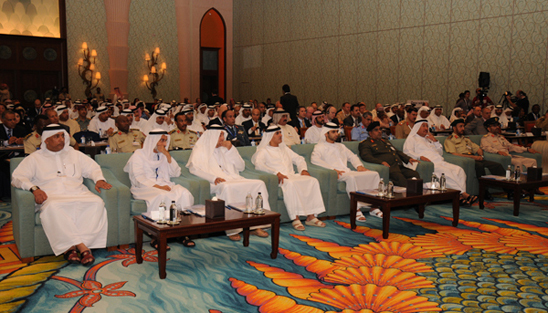 The conference was organized by the Institute for Near East and Gulf Military Analysis - INEGMA, and under the patronage of the UAE Ministry of Defense, and the Higher Committee for UAE Civil Seaports and Airports. 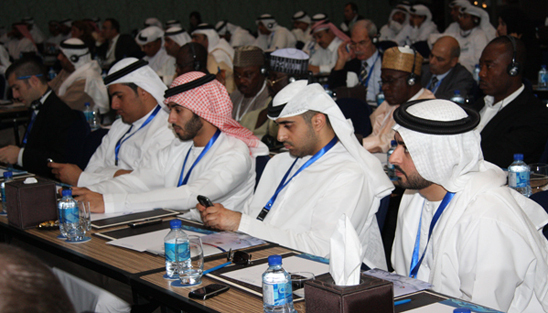 Three main plenary sessions were held today. 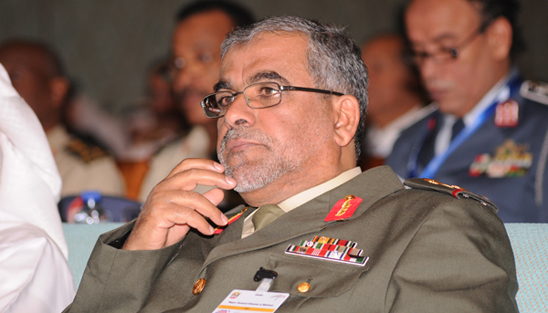 The Higher committee represented by the Deputy President Major General Khamis Bin Soueif honored Major General Khalifah El Mazrouhi, representative of the UAE Ministry of Defense. 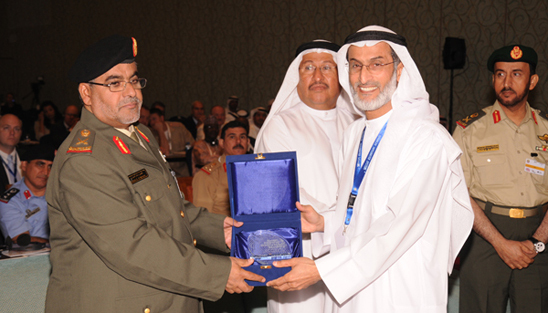 The committee CEO General Sultan Bin Yaacoub honored each of the official speakers in the conference. 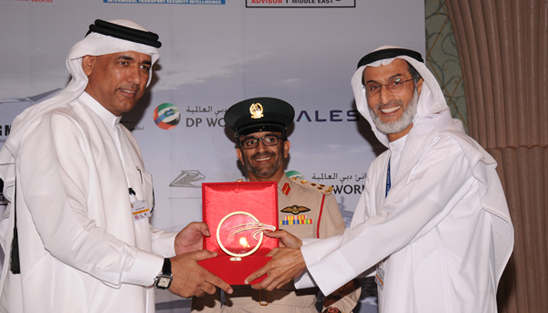 Staff General Abdallah Saleh al Edwan Manager of the Border Security Directorate in the Hashemite Kingdom of Jordan also honored the Higher Committee for UAE Civil Seaports and Airports security. 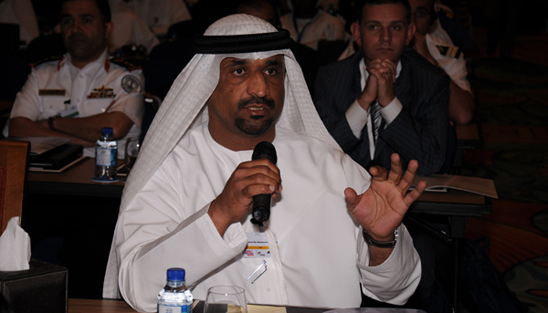 The First Plenary Session was chaired by Saeed Sabeel Bin Mohammed Aldanhani, Higher Committee for UAE Civil Seaports and Airport Security. 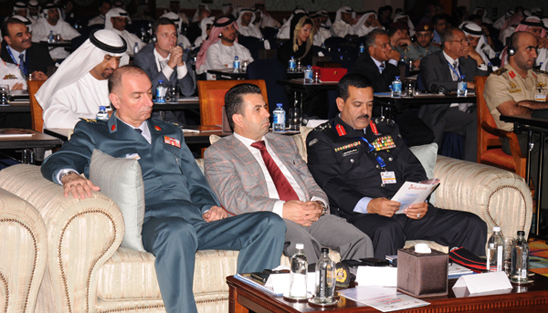 Brigadier Abdullah Saleh Al Shebli El-Edwan the Head of Border Security Centre in Jordan Authority, made a presentation on “Combating Sophisticated Document Forgery and Identity Theft” in which he argued that counter-terrorism and smuggling main issues. He also reviewed the organizational structure for border control and related statistics for 2010. 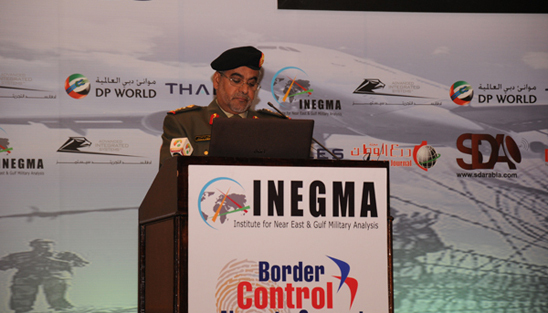 Lieutenant Colonel Ahmad Mohammed Al Marar the Head of Security at the Critical National Infrastructure commented on “Cooperation between Regulatory and Executive Authorities in Implementing National and International Laws in the UAE.” He argued that border security to society today is very important because any breakdown will lead to a very unstable situation. 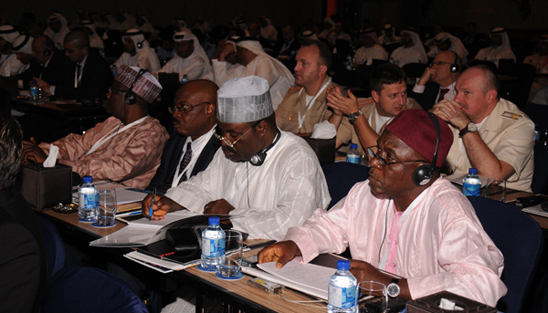 The Second Plenary Session was chaired by Dr. Theodore Karasik, Director of Research and Development, INEGMA. Navy Captain Muzaffar Mahmood, Maritime Security Agency, Pakistan briefed the audience on “Maritime Border Security Challenges.” He stated that sea trade is becoming more critical so requirements will increase for maritime security across the threat spectrum. Colonel Hassan Abdulla Al Matroushi the Commander of the UAE Coast Guard explored “Border Control and the Coast Guard: Protecting the Coastline, Ports and Maritime Traffic from Illegal Activities.” He explained the role of the UAE Coast Guard and fave statistics recarding capabilities and counter-terrorism operations. Captain Mousa Murad the General Manager of Port of Fujairah, represented by Captain Moussa Mrad delivered a briefing on “The Role of UAE Ports in Maritime Crisis and Disaster Management and Enforcing National and International Laws.” He explained Tanker Anchorage Area Requirements (TAAR) and regulations for Fujariah Port which is quickly becoming of the busiest ports in the world. 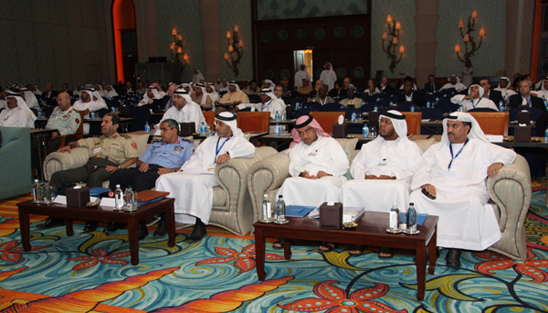 The last Plenary Session was chaired by Pierre Haddad the Publisher of the Security Review Magazine. Dr. Theodore Karasik examined “Somali Transnational Networks and Piracy: TTPs.” He argued that Somali pirates are organized, trained, and equipped much better than some other analysts think and they are formidable force that can be duplicated in other regions. Mohammed Al Muallem the Senior Vice President & Managing Director at DP World looked at “Ports Security.” He commented about DP World statistics from around the work and the key to constant risk assessments for a global shipping company. John A. Gill from Advanced Integrated Systems, UAE delivered a lecture on “U.S. Critical Infrastructure and Key Resource Security: Evolution and Trends.” He stated that the concept of homeland security and consequent management are evolving even today. Mr. Gill also concentrated on future threats including intermodal hubs as targets and how passenger screening methodologies.